The arms race to create superior content has led to a plethora of unique formats, strategies and plans for brands. Any business, blog or brand has a vested interest in quality content, whether the content is the core component of their website or whether they’re trying to sell products and services. The more content a brand can offer its audience, the greater the chances are of successfully connecting with new visitors, generating additional business and increasing brand awareness and reach. If that weren’t enough of a reason, search engines also insist that brands have quality content to offer if they want to be visible and prominent in search results. Today, we’ll provide some brief tips on how you can create content that both search engines and your audience will love. Most people can’t stand to read through immensely large paragraphs, poorly-formatted information and disconnected thoughts. Search engines realize that readers have clear preferences for digesting content; if you can master this, then you can benefit greatly. 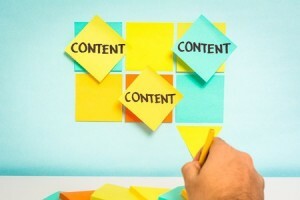 One such way to improve content for search engines and people is to format it for easy reading. This includes catchy headlines, sub-headings, smaller sentences and paragraphs, and even numbering and bullet points. Throw in a few images to break up the monotony and you’ll be pinging users with great content that they can stand reading. In terms of written content, it can be all too easy to focus on the words and phrases. However, people are increasingly demanding that other forms of media be included in blog posts and pages. Whether you choose to use videos, images, podcasts or something else is entirely up to you, but this inclusion of media is beneficial for a variety of reasons. Besides giving readers additional ways in which to enjoy and relate to the content, it also provides more outlets through which you can optimize pages and elements for search engine rankings. This really makes including media wherever possible a no-brainer. In the age of the internet, it’s hard to take anything you read at face value. Because of this, it is always a good idea to cite where you’re getting your information from, who you’re talking about and other important facts and figures. People appreciate being able to verify your claims, but search engines love it as well. Why? Links. Search engines look for content that is well-sourced, as this likely indicates a higher quality than content that does not reference other websites, facts and so forth. By pinging users with links to various important websites and pieces of info, you leave both readers and search engines happy. Every brand has a different niche to target and appeal to: it’s vital that your content reflects this. Besides using keywords to accurately target your content at select SERPs, it also helps readers know that what they’re reading is relevant to them. In addition, the entire writing style of your content should be relevant to the audience. For example, aiming to attract senior citizens may produce a different writing style than aiming to attract teenagers. By adopting a writing style that works well with your audience, search engines and people alike will be pleased. It doesn’t have to be a case of writing to please search engines or writing to please people: they both like many of the same things! By implementing the advice above, you’ll develop a better structure for content that is likely to produce the results you desire.